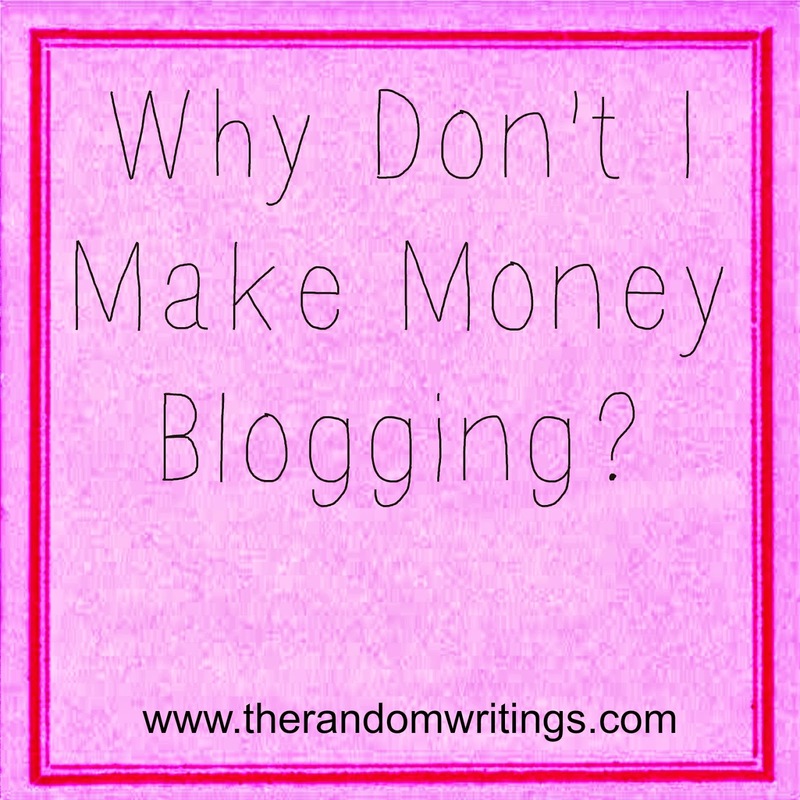 The Random Writings of Rachel: Why Don't I Make Money Blogging? You may or may not have realized that I'm currently not working outside the home. Right now, the primary 'work' filling up my time outside of home and family duties is either writing on this blog or writing articles to submit to magazines. I love the opportunity I have right now to devote significantly more time than usual to writing for the public. However, I hear about all these other bloggers who also devote a significant amount of time to writing, and who accordingly seem to be making a sizable amount of money while doing so. And I wonder--why am I not making money like they are? Don't get me wrong--various blogging ventures occasionally pay me. I have made more than $0 since beginning my blogging career. But I also haven't made $$ worth speaking of, and that's what I'm wondering about. I believe that I write well, but I'm learning that writing well is not really what it takes to earn a living as a blogger. 1. I haven't been blogging long enough. 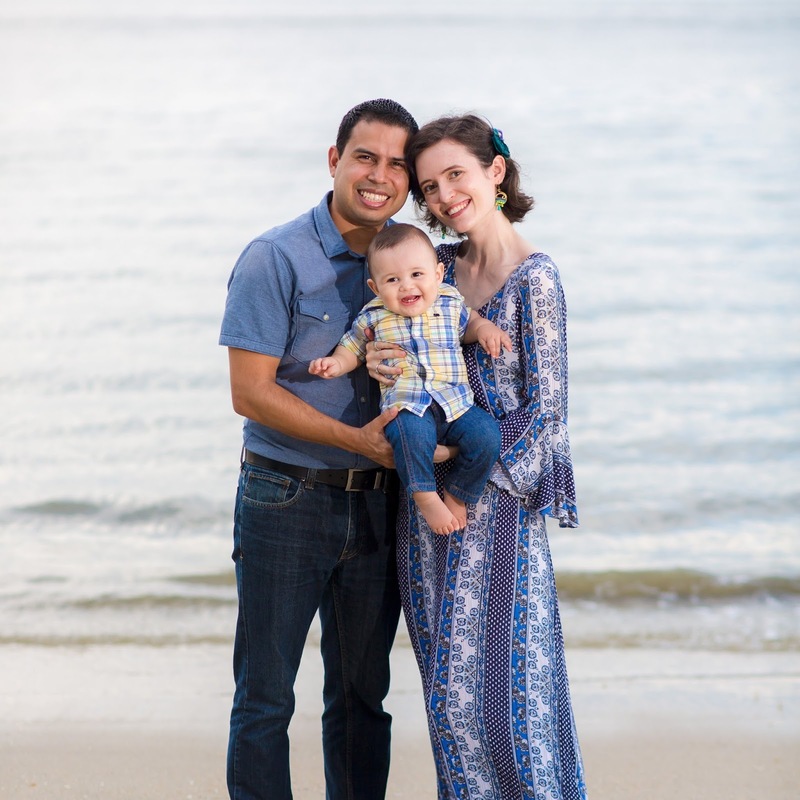 I'm at about 1.3 years right now, maybe it takes a little longer than that for a blog to kick into business gear? 2. I don't have high enough pageviews. I hear that Adsense makes some bloggers a regular income, but I'm guessing they have 100s of pageviews to every 1 pageview of mine (more pageviews means more people, more people means more clicks). Add to this the fact that I don't even qualify for a number of ad networks or review opportunities till I reach a certain pageview/follower level, and the problem becomes evident--my blog is relatively small. 3. I don't like stuff enough. That's a big thing. I don't accept all of the product review opportunities that come my way, and I don't pitch post ideas to brands because there isn't all that much stuff out there that impresses me enough for me to get excited about it. I've been known to say that I like a nice, clean, empty cupboard in my house and that's true, I tend to like empty spaces more than I like to have stuff stored in them. Sure, I love my dresses and my Doc Martens...and potato chips with french onion dip...and color-changing nail polish gets me pretty excited--but not everything does excite me, and for that reason, there are plenty of sponsored post opportunities that I don't even apply for because--stuff in general really isn't my kinda thing. 4. I don't really do affiliate links. Maybe it's just because I haven't figured these out yet. However, what really happened is that I'm making the mistake of thinking that everyone else in the world is just like me. I don't shop online and I never click on product links on other blogs--therefore, no one else in the world shops online or clicks on product links. False logic, right there. 5. I don't make anything to sell. There are plenty of talented crafters in the world. I consider myself relatively talented at crafting, but I don't have a world-revolutionary invention that needs to be produced and sold. The only thing I want to sell is words. Yet--I don't have an eBook or book of any kind. At the moment. Doesn't mean I never will, but I'd have to get a great and revolutionary eBook concept, and then it would have to be in a field that I'm an expert in...and that definitely limits things. I mean, How to Live with the Man in the Bear Costume doesn't really sound like a best-seller, does it? Why do you think you do (or do not) make money from blogging? Do you want to? I can analyze my blogging behavior all I want, but if I'm too stubborn to change the way I do things, it's unlikely that the results will change. So the answer remains to be seen...how stubborn am I? This is a great interesting post. I'm like you on points 1-4, although I have been blogging slightly longer marketing for my company but I don't consider that to be the same type of blogging as what I'm doing now. Although I do sell stuff I think you would be hard pressed to find people that are able to make an honest living from their Etsy shops. Sure they exist...but on the same level as the bloggers that are financially viable. Very few. I find that I can't decide if I want to put the effort into trying to make money off of my blog. I spend lots of time already trying to simply make it a place that I'd like to visit that I don't have any energy left to focus on details like sponsors, partnerships etc. Also it must be noted that I hate going to blogs that are promoting products. In fact, 99 times out of 100 I will simply not read that post. So I wonder...do I want to do that when I can't stand it myself as a reader? Since I'm an advocate for shopping thrift stores I don't exactly see them lining up to sponsor my posts. It's counter intuitive. They say "do what you love and the money will follow". I've yet to find this to be true. For 8-9 years I had my own business and out of those 8 years 3- 4 were good. Beyond that there was no money. I just got by. The only time I've been assured of making money regularly was when I did something I dislike. Write another e-book! About something, anything! I'd love to read more stories about your trips overseas and things. i think in order to make tons of cash you have to put yourself out there and social network ALL DAY LONG. and i just don't know who has time for that. i make maybe $200-$250 a month on my blog (that's including sponsors and whatever clever girl opps i get paid for.) but i see blogs out there that i don't understand the popularity of, and i'm certain they are pulling in a couple grand, plus an obscene amount of free stuff, a month. My full-time job is "freelance writing" (and sometimes print design), but I would love to be able to devote (even) more time to my blog and have it be its own revenue stream. But I wouldn't want to monetize at the expense of good content. I've followed a few blogs in the past where it's all products all the time, and at that point you lose the voice that got people to follow you in the first place, and I don't want that to happen. I do use affiliate links (... er, when I remember to use them), and I use AdSense, but I've had it installed for more than two years and have barely earned anything on it. It's definitely about getting higher traffic counts! As you know I just started blogging, so it's all new to me. But if you have figured it out, let me know Rachel. I am all ears. I am glad you wrote this because I personally believe blogging for income is incredibly difficult. I made a majority of my income off of one of my sites ( in the travel niche) and it was based of off page rank. We work with SEO companies who work for travel companies and are paid to get their clients to rank higher on google, so they used to pay bloggers/writers who had a PR of 3 or higher to publish posts on their blogs with links to their travel clients. However, this was totally on and off, some months were great and others zero dollars. My family blog hasn't made much of anything but I haven't really focused on monetizing it. For a blogger to make a good income they probably need several thousand views per day and also a high page rank, and would need to work with brands. I have little to no experience with that but the Smart Passive Income podcast has lots of tips for monetization. I am not a fan of affiliate links and haven't had them work for me but the guy who runs that blog makes 75K a MONTH from affiliate sales ( not kidding, he discloses his monthly income on his blog). I agree too that you should write another ebook. Check out Jeff Goins site http://goinswriter.com/ as he makes 3500 a month from only one of his kindle titles. I'm slapping myself for STILL not having finished an ebook. Sigh. I think I struggle with the same problems when it comes to making money blogging. I rarely shop online and wonder if people will even click affiliate links. I also don't think I've figured that whole concept out yet so I'm probably not doing anything right in that area lol. I don't review every product, but I do enjoy products. After Blog Elevated I did my very first pitch to a company and the result was great! I'm getting to review a product I'm really excited about and it has to do with healthy eating on the go. The only other way I make money is through my small sponsorship (which is like.. $5 haha) and then any giveaways I win haha. I'm still working it all out and I think I've been blogging longer than you have, so you're getting somewhere because you have a larger following than I do, but I think everyone does it differently. If you're really interested in making money blogging, maybe you've already done this, but scour pinterest and google for articles that will help you get to that point. It may be slow moving, but that's ok. I think you make some really great points. I don't make money from blogging but I'm not sure I want to. Well I mean, more $$ would be awesome, but I'm not sure I want to invest my time and efforts into what it takes to become a paid blogger. I think that you have to put yourself out there a lot, and basically ask for people to give you stuff, and I'm not comfortable doing that right now. It's a bit hard to get into monetizing but once you're there . It's all better . You've picked great points . I think it firstly goes for your page views . The traffic is all they want . I wish I could help you on this one, but I'm trying to figure it out for myself too. Although a full-time income would be nice, I would love to support my family just a little bit with this fun hobby of mine. But, from what I've read and heard, it's certainly a marathon so stick with it, try new things, and continue to learn as you go. In my case, there are so many Mom/Family blogs out there, that I find it hard to be unique. I can't be someone I'm not (nor do I want to be), but it sometimes feels like the niche is pretty tapped out. I keep praying for new ideas that might help me build readership while also sticking to the things I'm passionate about, so we'll see! Good luck! I think you're doing great so far!! I don't make money because I'm too lazy or busy to invest the time it takes to follow back or reply back to comments to grow my blog and I also don't wish to turn my blog into one big advertisement of products and giveaways. I want to remain true to why I began blogging. I'd love to make money at it but just don't feel like changing to do so. I recently turned off my AdSense and removed the ads from my blog. I made like, $2.00 after six or seven months of having ads on my blog. I never seemed to have interesting ads, though, and I'm really trying to focus more on upping my readership! It's hard for me to get lots of readers since I'm an anonymous blogger. I can't help you specifically on the blogging for money... BUT I also love color changing nail polish and I would totally read a book called How to Live With a Man in a Bear Suit. I go through phases where I have sponsorship and whatnot, but my passion isn't blogging for money. My passion is blogging for the fun of it! Interesting questions. I've been around actively for nearly 3 years (at least, with this blog) and don't get sponsored. So time definitely has nothing to do with it. Number 4 I do really recognize. I never click through on other blogs, and certainly never buy online, and I think that everyone thinks that way. Apparently this is wrong, because otherwise major companies would have stopped this affiliate business along time ago right? I make money from my blog in a bunch of various ways. I'm actually growing in the income level with my blog quite a bit lately. It's really up to the blogger what they want to do or not do. I do spend between 35-40 hours a week working, but I also get paid based off the amount of work I do. I ask myself this question a lot. I've decided that I have 3 major downfalls. 1. Not doing monthly|weekly giveaways. 2. Not participating in or hosting daily|weekly link-ups. 3. Not purchasing sponsorships on other major blog. But...I don't have any desire to do those things and keep up with them for now, so I'm kind of okay with it. 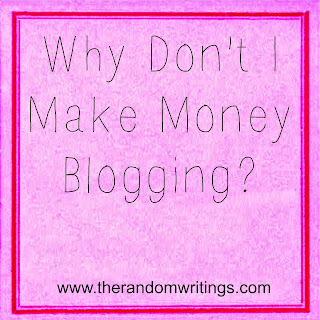 I don't make money blogging. I would love too, I mean who doesn't like money, but I don't know enough about the ways of that world so to speak...I suppose I could learn, but I end up giving up. Your blog is big from my eyes!! That's an informative post, Rachel! I have made NO money out of blogging. Although I started blogging around 1.5 years back, although in all honestly, I just wrote 3 posts last year, and only revived my blog in June 2013- so basically I have been actively blogging for about 6 months now. As for page views, I try to link-up to other fashion blogs (since I primarily write about clothes and fashion). I shall give adsense a try once I start having enough page views (on a daily basis). Till then, I love the idea of being able to share my love for fashion with other like-minded people out there. I suspect one of the reasons I "burned out" last month is that I was focusing so much of my energy on trying to make money and spent less time focusing on my blog. I've had a ridiculous spike in traffic this year. (Thank you Pinterest ;) so my ad spaces were booked solid for months. However, the amount of money I was getting was NOT worth the work I was doing. It was exhausting trying to maintain regularly scheduled posts, sponsored/giveaway posts, and work with my sponsors. And those companies, I was bending over backwards to get them results and in return all I was getting was a free purse or shirt. It just wasn't balancing out. So be careful. You've got a great blog and wonderful readership. More than that, you have a community. Don't let those PR people tell you that you don't have the "numbers." You've got something better than numbers. Look at your comment section. You have readers who engage and participate in your blog. That's worth so much more than a silly PR score. And they know it. Don't let them take advantage of you. When you do eventually begin to delve into the world of monetizing your blog, be sure to take it slow. Only take on what you can handle, otherwise you'll burn out. Quickly. Good luck, and please let me know if you have any questions. I would love to help you get started!